Anderson is the defending champion in Abu Dhabi this week. 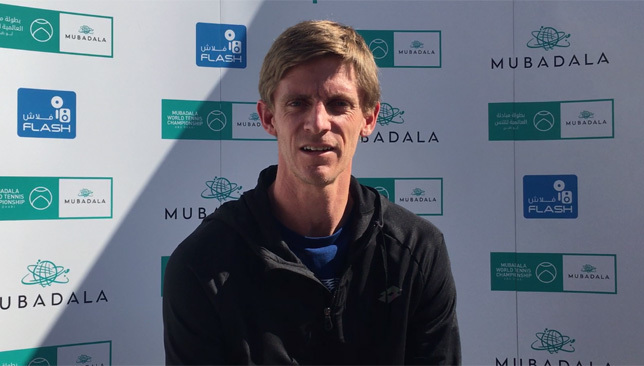 Kevin Anderson admits it’s “weird” having a different set of rules for the final set at each of the four Grand Slams but believes playing a first-to-10 points tiebreak at the Australian Open won’t be that different to contesting a regular seven-point one. The Australian Open announced recently that a final-set tiebreak will be introduced to the 2019 edition in an effort to limit the length of matches. But instead of implementing a regular first-to-seven points tiebreak, the Melbourne showpiece have decided on a first-to-10 points format, to be played at 6-all in the final set. The news came on the heels of Wimbledon’s announcement earlier this year regarding the introduction of final-set tiebreaks to be contested at 12-all in the fifth set for men’s matches and third set for the women. 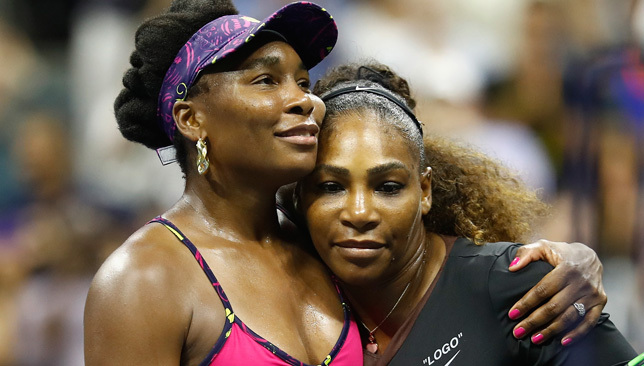 The US Open has a regular final-set tiebreak played at 6-all, while the French Open follows a win-by-two-games format for the final sets of its matches. The latest changes mean that players will have to adapt playing under different final set rules at each of the four majors. “It is kind of weird, and interesting I guess. Each one is different,” sixth-ranked Anderson told reporters in Abu Dhabi on Wednesday ahead of the start of his title defence at the Mubadala World Tennis Championship (MWTC). The Australian Open said the decision to opt for a 10-point tiebreak was based on “the most extensive consultation in the tournament’s history”. “We went with a 10-point tiebreak at six-games-all in the final set to ensure the fans still get a special finale to these often epic contests, with the longer tiebreak still then allowing for that one final twist or change of momentum in the contest. This longer tiebreak also can lessen some of the serving dominance that can prevail in the shorter tiebreak,” explained Australian Open tournament director Craig Tiley. Anderson doesn’t think the change in length of the tiebreak will affect the players much. “At the end of the day they’re realising that just having a full long fifth set is not the ideal situation and it just seems like they maybe just trying to be a little bit different. Whether it’s 10 or seven I don’t think makes any difference at all,” said the South African. World No. 11 Karen Khachanov, who makes his MWTC debut against Dominic Thiem on Thursday, also weighed in on the subject. “It’s a little bit different… that they cannot maybe negotiate and make one rule for all the tournaments but on the other side it makes a little bit of difference between all of them so we have to try to adjust how to play,” said the Russian. 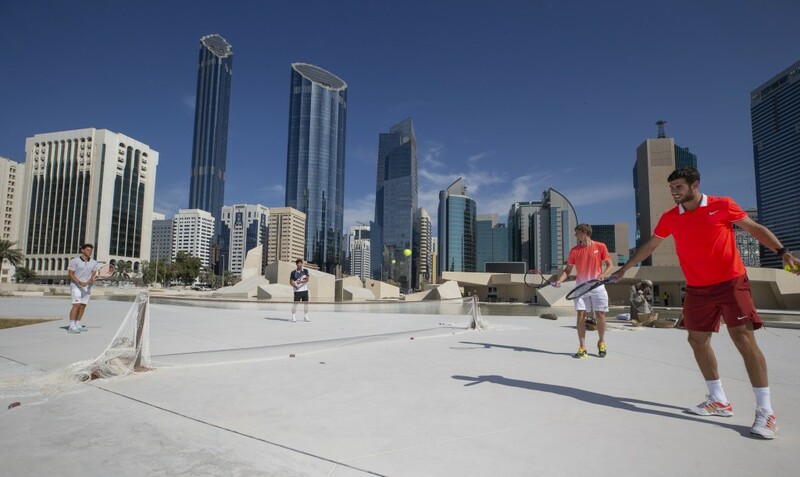 The 11th edition of the MWTC kicks off with three matches on Thursday. A sun-kissed and admittedly-exhausted Stefanos Tsitsipas is sat on the terrace of a sports café overlooking a small marina of boats at JA The Resort in Jebel Ali. The 20-year-old is in Dubai completing the final stretch of his preseason training before he flies to Perth next week to represent Greece alongside Maria Sakkari in the Hopman Cup. He’s been working six-day weeks, putting in four sessions a day (two on the tennis court and two in the gym) to get ready for the fast-approaching new season. It’s his day off and he has a couple of media commitments before he hits the squash courts at the resort for a fun duel with his fitness trainer Frederic Lefebvre, who formerly worked with Serena Williams and Jeremy Chardy among others. Voted the ATP’s Most Improved Player of 2018, Tsitsipas would be forgiven if he is still taking stock of what he managed to achieve over the past 12 months. He rocketed from 91 in the rankings last January to his current position of No. 15, claiming his first career title in Stockholm in the process, finishing runner-up in Barcelona and the Masters 1000 event in Canada, and reaching the fourth round at Wimbledon. In Canada, he became the youngest player to defeat four top-10 players in a row at a single tournament. He turned 20 the day of his final defeat there to Rafael Nadal, wrapping up a statement week that solidified his position as one of the most dangerous young guns on tour. He concluded 2018 by going undefeated at the Next Gen Finals in Milan, clinching the title along with a $407,000 cheque. Just 18 months ago, Tsitsipas was ranked outside the top-200. Now he is the youngest player in the top-20. The speed of his rise is not lost on him but he sounds confident when he discusses it. “I was aware of what was going on, but to be honest with you, I don’t know, I wouldn’t have imagined such a good season like this year. I played incredible tennis, I played tennis out of my comfort zone, I did things even myself I was actually surprised with. But it’s all because of the hard work I’ve been doing,” Tsitsipas told Sport360. That match toughness was on full display at several moments throughout the year and Lefebvre considers it one of Tsitsipas’ greatest assets. “His best quality is that he is a warrior on the court. He is pretty natural. At 17, 18 he understood what he had to do and he took it seriously,” said the Frenchman. Tsitsipas agrees with his physical trainer and feels the biggest progress he made in 2018 was in the mental department. “Psychologically and mentally I would say. I’ve become tough, I’ve become durable. I think I’m not breaking that easy in tough situations, I’m able to keep my attitude right most of the time. I’m actually aggressive, I never become passive or defensive when the match gets tense. I always keep my foot on the gas pedal and not back down,” Tsitsipas explains. Alongside Lefebvre in Dubai, Tsitsipas is also joined by his father and coach, Apostolos, and his younger brother Petros, who occasionally acts as his hitting partner, and at 18, has just started playing Futures events on the professional circuit. Of the many ATP players currently in the emirate preparing for 2019, Tsitsipas has been practicing with Frenchman Lucas Pouille the most, but he also has a planned session with Roger Federer early next week. Tsitsipas grew up idolising Federer and is thrilled to get the opportunity to practice with the 20-time Grand Slam champion. He’s not fazed by the occasion though. “It’s all part of my progression. I deserve to be here, there was a lot of hard work to get here and now I guess it’s my turn to shine,” he simply states. For many players on tour, tennis is a family affair, and Tsitsipas is no different. Both his parents played tennis, and it’s actually his mother, Julia Apostoli-Salnikova, who has more experience on the professional tour, where she was ranked in the top-200 in the early ‘90s. Having a father as your coach can often come with its own set of complications but Tsitsipas doesn’t see it that way. “It’s not complicated, it’s much simpler than it looks like. But having him as a coach was the best thing that ever happened to my career,” he says of Apostolos, his father. Of the younger crew climbing up the tennis ranks at the moment, Tsitsipas often stands out. While others sit at their hotel rooms playing video games to blow off steam, Tsitsipas spends his time taking photographs on the streets of the many cities he visits throughout the year – he has an alternative Instagram account with the handle ‘stevethehawk’ to showcase his amateur photography – and films and edits travel vlogs for his Youtube channel. He laments the fact that he has limited time to pursue his other interests but is happy to spend 30 hours editing one vlog, spread out over several days due to his packed schedule. “But I understand that tennis is my priority at the moment, it’s my job, it’s what I’m getting paid to do and I’m grateful. I love tennis, I love hitting a fuzzy yellow ball every day of my life. It’s what I decided that I want to do in my life and I never regret the decision that I took,” he assures. Tsitsipas uses his other interests as an outlet, and while he seems sociable, he also values his alone time and credits a solo trip he took to the Caribbean earlier this year for his improved results from the Spring onwards. “I didn’t start the year very well, I started so and so. I wasn’t doing that well from January until March I think. And then I had a great run in Barcelona, which also gave me confidence in believing in myself a little bit more. Things seemed to kind of change after that. I found my rhythm, I found my confidence on the court, I knew who I actually was. I think the vacation I took going alone, by myself to the British Virgin Islands, helped me to reboot a little bit, get to understand myself a little bit better. I think it was a good thing that I did from myself,” says Tsitsipas. The tennis calendar has been a hot topic of conversation for many years with players complaining about the length of the season, the high number of mandatory tournaments they have to play. Tsitsipas contested a whopping number of 32 events in 2018 (including Challengers and the Next Gen Finals) and is likely to start his 2019 season by playing nearly eight weeks in a row. He admits that the one thing he would change about tennis would be the calendar. “The tour is great. I like competing but sometimes it feels like there is a lot of stress and all that stress, week by week, it’s really tough to handle sometimes,” he confessed. “I wish there was maybe smarter scheduling, that would be – I’m sure if I go higher in the future with my ranking and everything, I think the schedule will be much more different than it is right now so I won’t have to worry about that. Scheduling sometimes is too much. “I think I played the most tournaments of all the other players this year but still it was a lot of traveling this year. Another thing he wishes was a bit different on the circuit is the interaction between the players. Having spent his first full year on tour in 2018, I ask him whether he’s made any new friends in the locker room or whether it’s difficult befriending your rivals. “I don’t think it’s difficult. I just think that everybody is on their phones nowadays so it’s tough to make friends like this,” he says with a smile. Looking ahead to next year, Tsitsipas has set himself some high targets and isn’t shying away from sharing them. “My goals for next year is to play semis in a Grand Slam, win a Masters 1000 tournament, break into the top-10 and be in the ATP Finals,” he declares. “Those are four of the goals I’ve set for next season. I think they’re achievable. I’ve shown some good tennis this year. I think my level is not far from winning a Masters 1000, being among the top-five or six of the ATP rankings, in the Grand Slams playing semis or quarter-finals, or maybe even doing much better than that. He also points out the areas of his game he hopes to develop the most. “I would say to be more aggressive on the court. To play a more aggressive game style than I’m playing at the moment. I do play aggressive but I believe with my height, with my power, with my abilities I can be even more aggressive, I can take the ball earlier, approach the net, feel a bit more comfortable with my volleys and coming in front. And to be a bit more consistent with my serve,” he says. Karen Khachanov finished the year by beating four top-10 players en route to the Paris Masters final. Alexander Zverev won the ATP Finals. Do the achievements of other young players on tour push you to do better? I think there is motivation. Everybody wants to do their best, everybody wants to surpass the other one, I think it’s normal, it’s competition, it’s what we’re meant to do, it’s our sport, it’s our natural approach to things. We’re competitive most of us, and I’m competitive myself. I think having the young generation of players behind me or even in front of me kind of pushes me a little bit more. Were you surprised that Zverev won in London? Not really. He’s a great player, I was not surprised that he won the Nitto Finals. I think he deserved it, he showed a great year, 2018 was a really good year for him. He has beaten those players before so that’s why I wasn’t surprised. Which moments this year do you feel made the biggest difference for you? I had many moments. One moment that stood out was the round of 16 at Wimbledon, which gave me a bit of confidence I can say. Also playing semis in Washington because that tournament I felt like I played well but I didn’t really play my best tennis yet. But I was surprised that I did semis in a 500 event not playing my best tennis. And then I managed to pull out my best game the next week in Toronto which I was very happy with because it was a very important tournament, many points there, and I was very proud of myself to be the first [youngest] male player to beat four top-10 players in single tournament, that was stunning. If you had to pick, which Grand Slam do you think would be your best shot at your first major title? I would say Wimbledon and Australian Open, let’s not forget the Greek fans. As a Greek, were you inspired by Cyprus’ Baghdatis growing up? He was my idol growing up, I even told him when I went for dinner with him the other day during my vacation in Limassol. I couldn’t hide it. He was my idol growing up after Federer. Federer was my idol all my life, Baghdatis came always second, because I guess of my style of play and everything. But no, I do respect Marcos, his career is still great and will always be respected because he came from a tiny country and created history himself. That was very inspiring to see, I always wanted to follow in his footsteps and achieve things that he achieved in tennis. The style he played was so enjoyable to watch on TV.